What a wonderful time for learning in the classroom! Springtime activities can go in different, yet related, directions. You can talk about the visible changes as trees sprout new leaves and flowers pop up through the melting snow. Or you may discuss how clothing choices change as the temperature rises. Additionally you may discuss what animals are coming out of their winter sleep. All of these topics allow for cross-curricular learning. 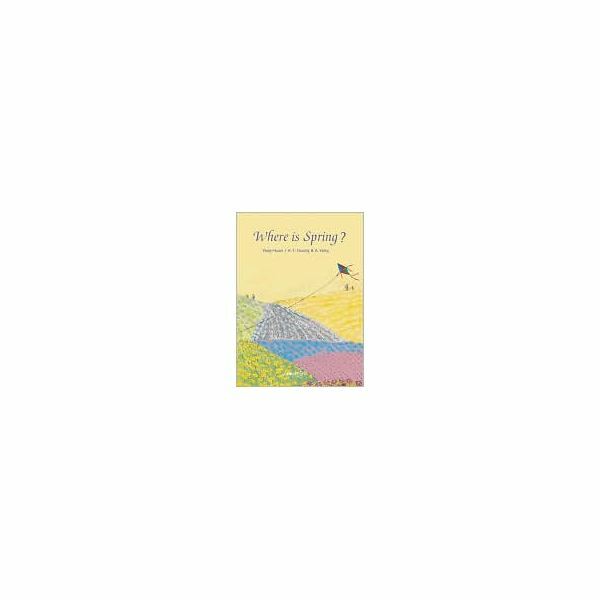 There are many books to use as introductions to spring activities — this activity begins with a book entitled: Where is Spring? by Yang-Huan/ H.Y.Huang and A. Yang. illustrations fit the simple test. The story tells of a young boy who sends his kite up in the air to find spring. Read the book through one time. Then return to the beginning and discuss the signs of spring that are illustrated. What animals do you see? What is the boy wearing? What plants do you see? What are people doing while outside? Complete this printable kite activity. Students are given two of the same color triangles. They need to trade with classmates to get two different colors, none of which is the color that they had at the beginning. So, a student with two blue triangles, after trading, may now have a yellow and orange triangle. Then the student pastes/glues the triangles to the kite pattern and then cuts the whole thing out. A yarn tail is added. Make a bulletin board full of the completed kites with a title: “Spring is in the Air!" Complete this printable Spring Things worksheet. You may want to send this home for homework. Color the pictures related to spring. Put on X on the pictures related to winter. Here is a movement activity, which also extends the students vocabulary. Spread the children out into an open area. This time, when you read, emphasize the action words and instruct the students to act out what they think the word means. Here is a list of the words: extending, traveling, serenading, resting, mopping, strolling, awakening, combing, putting, burning, smiling, playing, studying, singing, working, walks, climbs and enters. For the more difficult words, read it again in context or give the students clues to the word meaning. Spring is a glorious time to plan spring activities for preschoolers. There are spring crafts and games and great books to use. This book Where is Spring? is just one of many. Use the two printable spring activities as an assessment tool and a craft for a bulletin board display. Then spring into action by learning and moving with new vocabulary from the book. Hopefully you'll be able to do this outside in the nice spring weather! Book Jacket information from Where is Spring?